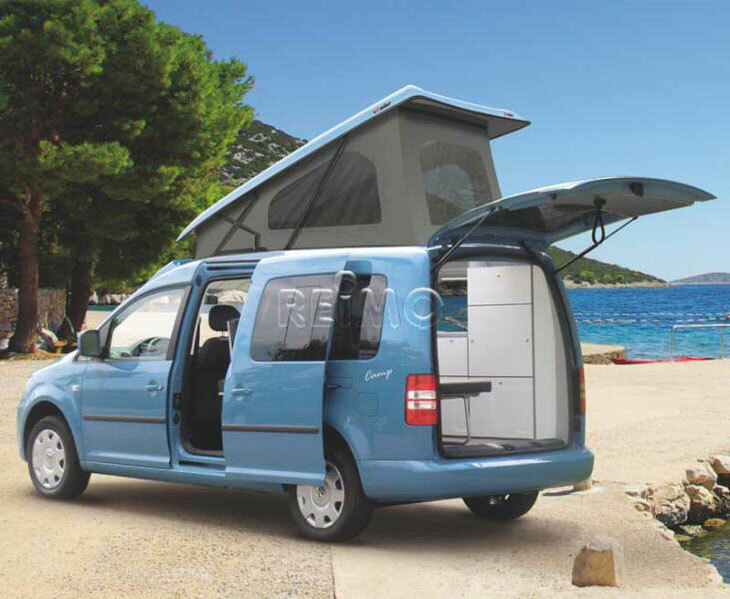 Compact car AND campervan... is that possible?! 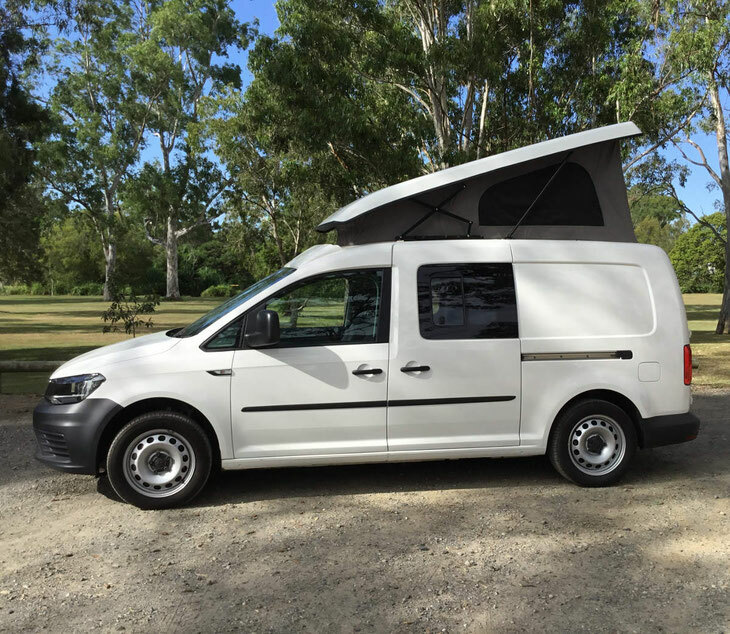 Yes, with the roof conversion for for the VW Caddy Maxi ( LWB) you can use your Caddy as a 5 seater people mover as well as a mini camper. 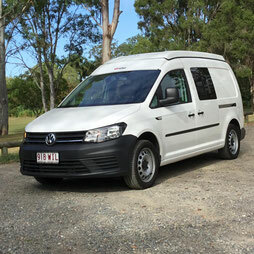 The roof conversion not only gives you standing height inside, also a extra upper bed can be fit at additional cost. 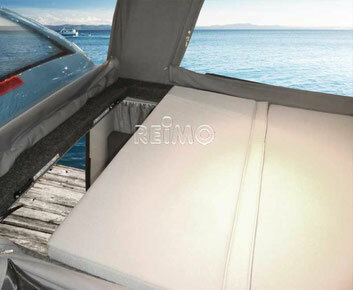 With the Reimo roof conversion, your economical and handy Caddy still coming with a total height of less then 2 meters and makes it easy to park in undercover garages. base vehicle is available as 2 or 5 sater as 2WD and 4Motion version to get off the beaten tracks. 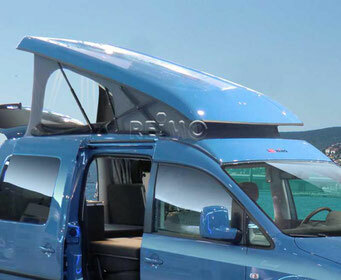 The elevated roof converts your Caddy into a real Mini Camper!!! Walking around, standing height inside when prepairing meals is just as easy as to lift up the roof. 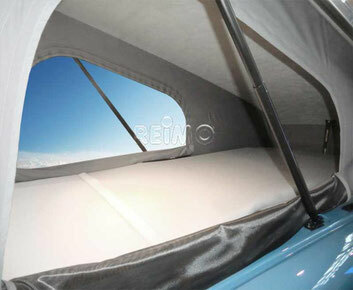 A optional upper bed in the roof can sleep another 2 people.